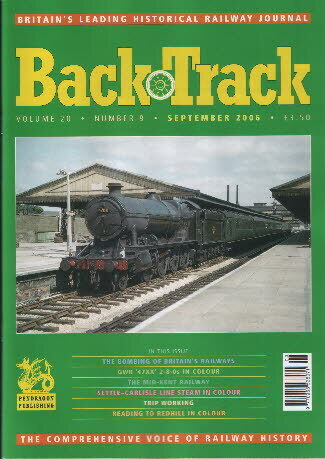 Railway Magazine | BackTrack Sept 2006 journal from Pendragon Publishing. Trip Working - David Stewart-David describes these now largely vanished local goods operations. Mr. Robert Stephenson's address on the railways - a transcript of the address given to the Institution of Civil Engineers in 1856.